Population problem in Bangladesh Paragraph – Bangladesh is a small country but its population is not small. About 150 million people live in this small country with a total land area of, l,47,570 square kilometres. About 1000 people live per square kilometre. This is a very high density of population. The main reasons behind the excessive increase in the population are illiteracy, tropical climate, early marriage, polygamy and want of recreational facilities. Overpopulation has a negative impact on the development and economy of the country. It causes a food shortage, a communication problem, health problem, shelter problem, medical problem, unemployment and poverty. For solving this problem illiteracy must be removed from our society. Moreover, strong measures will have to be taken against early marriage and polygamy. Furthermore, people will have to be motivated to adopt family planning measures and recreational facilities should be created for them. 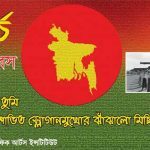 However, the government of Bangladesh has given much stress on the population control by identifying it as one of the main problems of the country. So, we should help the government in this respect. Population explosion means rapid growth of birth rate without any check. It is a constant threat to our environment and existence. It is the greatest problem in Bangladesh. The land area of Bangladesh is less than her vast population. For this reason, Bangladesh is considered as an overpopulated country. There are many reasons for the increasing population in our country. The main reasons for the increasing population are ignorance, superstitions, early marriage and lack of female education. Overpopulation growth has many negative effects on our life and existence. lt hampers our economic progress. It causes various problems. Poverty, illiteracy, unemployment problem, health, and sanitation problem etc. are some of them. It is a great obstacle to the development of our country. It also pollutes our environment. Though the population is an asset of a country, it has now become a burden for our country. Therefore, population growth must be kept under control. We should take some measures to control it. Early marriage should be banned. No family should be allowed to have more than two children. It should inspire our people to adopt family planning. Our womenfolk should be educated. People must be aware of the serious consequences of a high birth rate. Mass media like radio, television and newspaper can play a vital role in this regard. Bangladesh is one of the most densely populated countries in the world. Her population is increasing day by day. Every year more than two million people are being added to our population. It has become a serious problem for us. ln fact, it is the number one problem of our country. This problem is now out of control. Though Bangladesh is a small country, it has a huge population. About 850 people live per square kilometer here. The population of our country is increasing at an alarming rate. The causes of an increasing population are many. Most of the people in our country are illiterate. They do not know about the problems of overpopulation. Because of being illiterate, they are not aware of family planning. Besides, religious superstitions obstruct our people from taking family planning. Early marriage is also responsible for increasing population. Overpopulation creates many problems. The area of Bangladesh is small in proportion to her vast population. As a result, it creates the problem of food, shelter, health, nutrition, unemployment., treatment, communication and illiteracy etc. 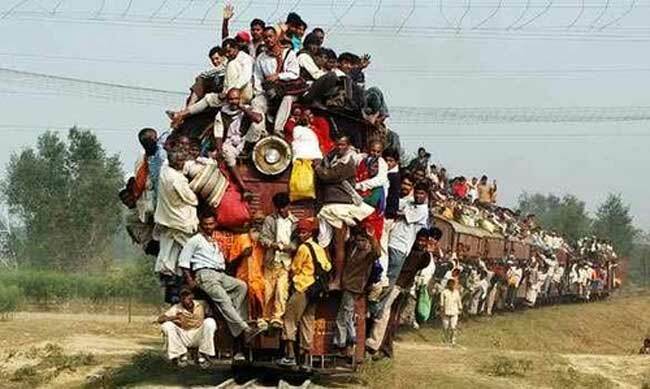 Overpopulation obstructs to our national development. it has become a burden for our country. The whole nation has been suffering from the grievous consequence due to overpopulation. The country will fall into acute poverty and people will lead a very unhappy and miserable life in the near future if it is not controlled. However, we must come forward to control this overgrowth of Population. People should make aware of adopting family Planning. Early marriage must be stopped. No family should be allowed to have more than two children. Our people must be educated. If they are educated, they will surely try to keep their families plan. Our womenfolk should also be given training on family planning. They must be aware of the negative effect of overpopulation class media can play a vital role in this regard. problem. For this, all the people of Bangladesh and the government should join hands to control this population growth at any cost. Introduction: Bangladesh is a very small country in South Asia. ln respect of population it is the eighth largest country. So she is a country with a large population. Density : Bangladesh is a densely populated country. The density of population always refers to a number of population living per square mile. About 1000 people live in Bangladesh per square mile. So people call her a thickly populated country. Causes of overpopulation : There are some causes behind overpopulation in Bangladesh. Our climate, weather, geographical condition, early marriage, polygamy, high birth-rate are the causative factors of overpopulation, Dogmatism, prejudice, superstition, fundamentalism and God-fearing tendency are also responsible for this population problem. Disadvantages: Population problem Creates other problems like poverty, illiteracy, disease, failure in agriculture, unemployment problem etc. Poverty is a curse. The country CannOt be developed because of poverty. The number of hunger increases day by day. The country°s production fails to feed_ the increasing people. Job facilities are not able to cope up with this ‘population as a result people remain unemployed. People cannot provide food for children, let alone education. The women of Bangladesh have a more Childbearing capacity. There conceiving capacity is, in fact, praiSinQ» Out illiterate people do not adopt family planning. So today’s daughter becomes ‘a mother next year. It seems that Our population is increasing according to the Malthusian Theory of Population. People being unemployed and jobless accept begging as the profession for their livelihood. They roam about in Death of alms in the towns or cities. For being poverty-stricken, the living standard of people is very low. People cannot manage two square meals a day. Our land is limited but the same plot of land is divided into many. So fragmentation of land is found where the peasants cannot turn the pair of .bullocks to cultivate properly. Solution: Overpopulation is an obstruCtiOn to any kind of development. So necessary and constructive steps should be taken to solve the population problem. Early marriage should be stopped and polygamy should be banned. The introduction of family planning all over the country is essential. AwareneSS among the common people needs to be created so that hey may feel inclined to build up their families small which can go on well with the per-capita income. Birth control is essential in this regard. The women ShOuld take birth control pills, like-ovation, guayabera, Ovastat, and men should use condoms while cohabiting with their wives to meet up the sexual appetite. The should have to clear knowledge about conceiving period. The couple should be allowed to take only to children Tax and fine should be imposed on the parents of most children. Considering this. the govt. has adopted the “Planned Parenthood, to cheek this growth rate of population. Media campaigns are in full swing to control birth rates in various ways Suitable topics on family planning have been included in the syllabus of the boys and. girls in schools, colleges, and universities. it is gratifying to note that the movement has taken very bold an effective steps to boost up food production by launching the campaigns “now more food” and “green revolution”. This also provides irrigation, flood control, bringing fallen land under cultivation reclamation of land, protects coastal land from salinity. Overpopulation is a threat: Overpopulation is a more serious threat to our country than the atomic weapon. No developing or development work can be expected if this continues to increase day by day. More people or additional people always need more or additional things. This is a hindrance to development. Conclusion: Bangladesh is an overpopulated land. If the people and the govt. utilize the country’s resources and do other works sincerely this problem will be solved. So We all and sundry should take a noble vow of solving the problem and make a happy and prosperous Bangladesh. The population of a country is an asset, but it becomes a problem when the country can not afford to provide people with the basic necessities of life. Bangladesh is a small country. The total area of Bangladesh is 1,47,570 square kilometers. Our total population is about 120 million. So, the population problem is really a great malady for our country. Bangladesh is a poor country but her population is still increasing by leaps and bounds. The rate of growth is about 1.48% every year. Our country cannot afford the necessary things such as food, shelter, medicine items of clothing, housing, and education for the increasing people. Naturally, the population of Bangladesh has created a serious problem and it is also a burning question for the country. Population in Bangladesh is increasing by geometrical progression whereas the agricultural production is increasing with Arithmetic progression. Our country mainly depends on her agriculture, but our agricultural production is still unsatisfactory on account of old and unscientific methods of cultivation. Moreover, we find natural calamities like floods, droughts, cyclones etc. every year, These bear poverty for the country. Besides, eighty percent of the population is illiterate. They know very little about family planning and cannot realize the tremendous effect of overpopulation. 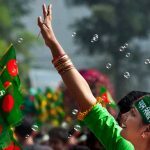 It may be noted that illiteracy, polygamy, religious influences, the custom of early marriages are also responsible for the population problem of Bangladesh. Proper education and an idea of the fair standard of living should be given to the people. Newspapers, television, and cinema are being regularly used popularise the idea of birth control and family planning. As a result, they will be fully aware of the evil effects of overpopulation. Population problem in Bangladesh is a number one national problem. It should be our only thinking that two children are enough for each family whether it be a male or a female. If the Government and the people of our country are determined to implement birth control, we can hope that the present growth rate of the population will be reduced in the near future.